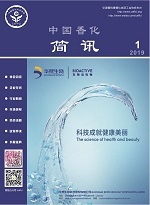 China Association of Fragrance Flavour and Cosmetic Industries （CAFFCI） was founded on August 21 1984. It is an industrial association at national level with an independent corporation status, approved by the Ministry of Civil Affairs of the People's Republic of China. At present, CAFFCI, a nonprofit social organization, is comprised of more than 1200 members, most of which are enterprises and institutions involved in the production of raw materials & products, packaging, equipment design & production and R&D of fragrances flavours and cosmetics. The member's Representative Assembly is the top authority body of CAFFCI.